"THE BEST true crime book I've read in a loooong time." "...a terrific investigation....vivid and moving..."
"Meticulously reported and beautifully written." "A marvelous book, taking a complicated, trying story and making it compulsively readable." 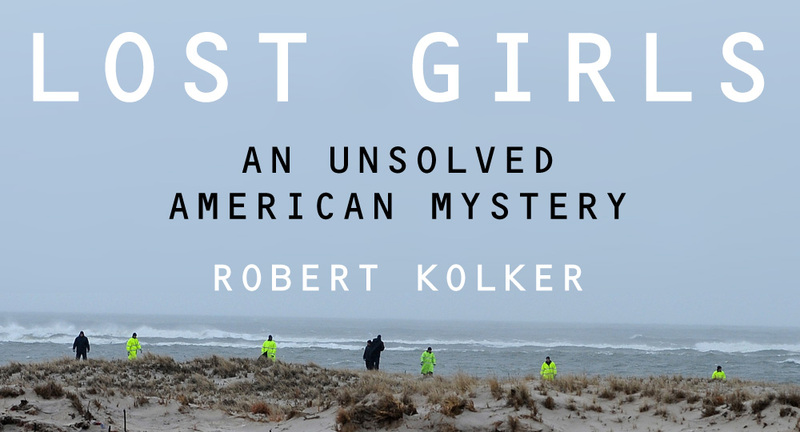 Robert Kolker delivers a haunting and humanizing account of the true-life search for a serial killer still at large on Long Island, in a compelling tale of unsolved murder and Internet prostitution. One late spring evening in 2010, Shannan Gilbert, after running through the oceanfront community of Oak Beach screaming for her life, went missing. No one who had heard of her disappearance thought much about what had happened to the twenty-four-year-old: she was a Craigslist prostitute who had been fleeing a scene—of what, no one could be sure. The Suffolk County Police, too, seemed to have paid little attention—until seven months later, when an unexpected discovery in a bramble alongside a nearby highway turned up four bodies, all evenly spaced, all wrapped in burlap. But none of them Shannan's. There was Maureen Brainard-Barnes, last seen at Penn Station in Manhattan three years earlier, and Melissa Barthelemy, last seen in the Bronx in 2009. There was Megan Waterman, last seen leaving a hotel in Hauppauge, Long Island, just a month after Shannan's disappearance in 2010, and Amber Lynn Costello, last seen leaving a house in West Babylon a few months later that same year. Like Shannan, all four women were petite and in their twenties, they all came from out of town to work as escorts, and they all advertised on Craigslist and its competitor, Backpage. In a triumph of reporting—and in a riveting narrative—Robert Kolker presents the first detailed look at the shadow world of escorts in the Internet age, where making a living is easier than ever and the dangers remain all too real. He has talked exhaustively with the friends and family of each woman to reveal the three-dimensional truths about their lives, the struggling towns they came from, and the dreams they chased. And he has gained unique access to the Oak Beach neighborhood that has found itself the focus of national media scrutiny—where the police have flailed, the body count has risen, and the neighbors have begun pointing fingers at one another. There, in a remote community, out of sight of the beaches and marinas scattered along the South Shore barrier islands, the women's stories come together in death and dark mystery. Lost Girls is a portrait not just of five women, but of unsolved murder in an idyllic part of America, of the underside of the Internet, and of the secrets we keep without admitting to ourselves that we keep them.